So, first the exciting news. 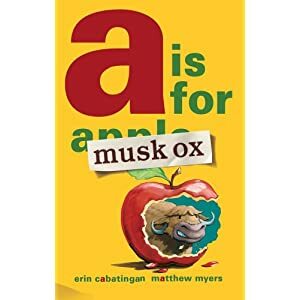 A is for Musk Ox is on the Winter 2012-2013 Kids' Indie Next List--"Inspired Recommendations for Kids from Indie Booksellers." It's #10 on the list!! Now, on to my book launches--they were great! My first book launch was in my mom's classroom at East Elementary. It was fun to do it there because that's where I went to school and that's where my kids are going to school now and that's where my mom teaches. My middle child is in her class and she invited my oldest child's class to come be part of it. We also invited some family friends to come as well. And a reporter and photographer came. Here is the link to the article. It was on the front page of the newspaper the next day. The launch went well. There were flowers and balloons and a giant cake with my book cover on it. My mom even ordered personalized napkins. The kids got to throw confetti at me. Then my husband and I read the book to the kids. He read the part of Zebra and I was Musk Ox. It's fun to read with my husband. 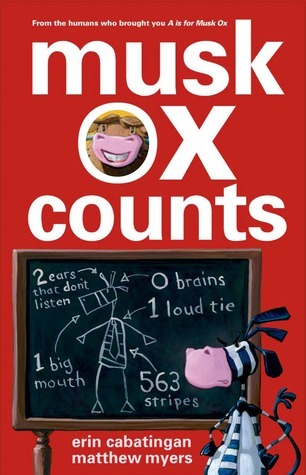 He does a really good job of reading to children--lots of expression and expressions. Then we had cake. After that, the kids left for the day and I got to talk to the others who had come for the celebration. The second book launch was at Braun Books. It's on 25 N. Main Street in Cedar City, UT. Megan, the owner of the bookstore, bought 25 copies of the book and we sold all of them, so that was really good. Plus there was a yummy launch punch that she makes special just for launch parties, and a bacon jam that she has at all the events in the bookstore. It was an interesting jam. I didn't care for it, but my husband liked it. The only problem I had with the launch parties is that I'm shy and I dislike being the center of attention--I never know how to act and I feel silly. Maybe I'll get over that after a few of these. I did like signing books however. That was fun. I hope I get to do more of it. Reprints! And book launch! And other fun stuff!